A pipe-laying vessel is used in the construction of subsea infrastructure, often serving to connect oil and gas production platforms with refineries on shore. Cable-laying vessels are used to place underwater cables for telecommunications, electric power transmission, or other purposes. OSC staff had the privilege to work on a project involving the MV Solitaire, the largest pipe laying vessel in the world © OSC 2009. Do I need to consider marine mammals in my pipe/cable laying project? It is not unusual for regulator permit requirements to stipulate the use of Marine Mammal Observers for projects involving pipe or cable laying. 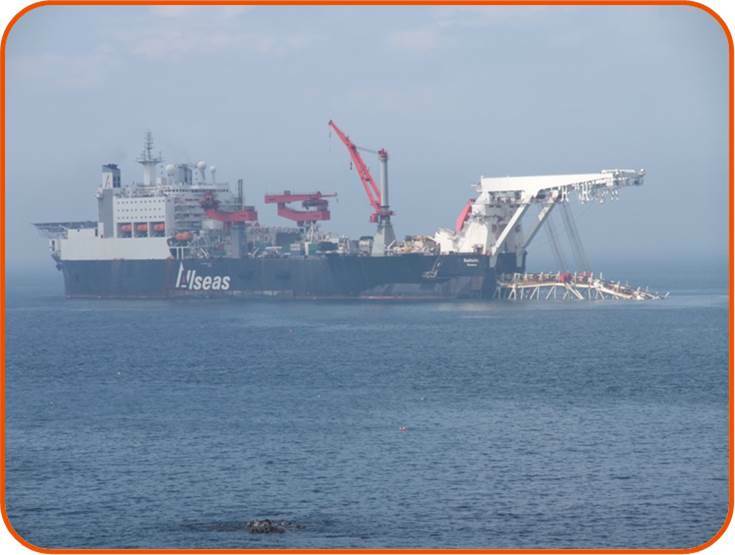 For example, MMOs, may not be used directly on the pipe-laying vessel itself, but are used commonly on vessels that trench pipelines, or employ Remotely Operated Vehicles (ROVs) to survey visually and acoustically, the pipe-laying progress. Hydrographical survey ship, MV Highland Rover. 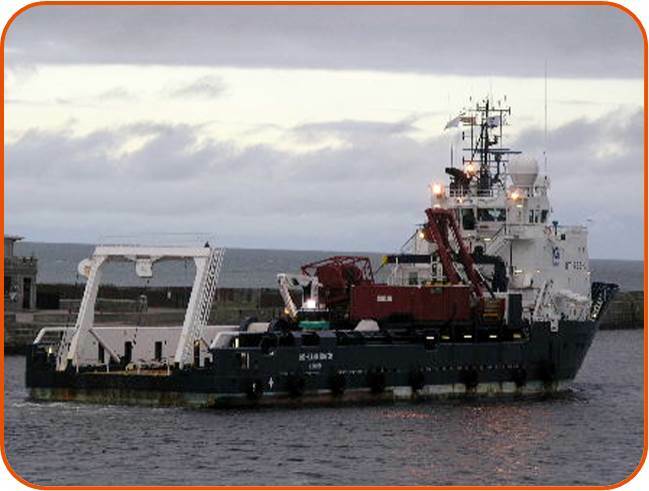 OSC MMOs have worked on this vessel in support of pipe-laying projects. © OSC 2009.